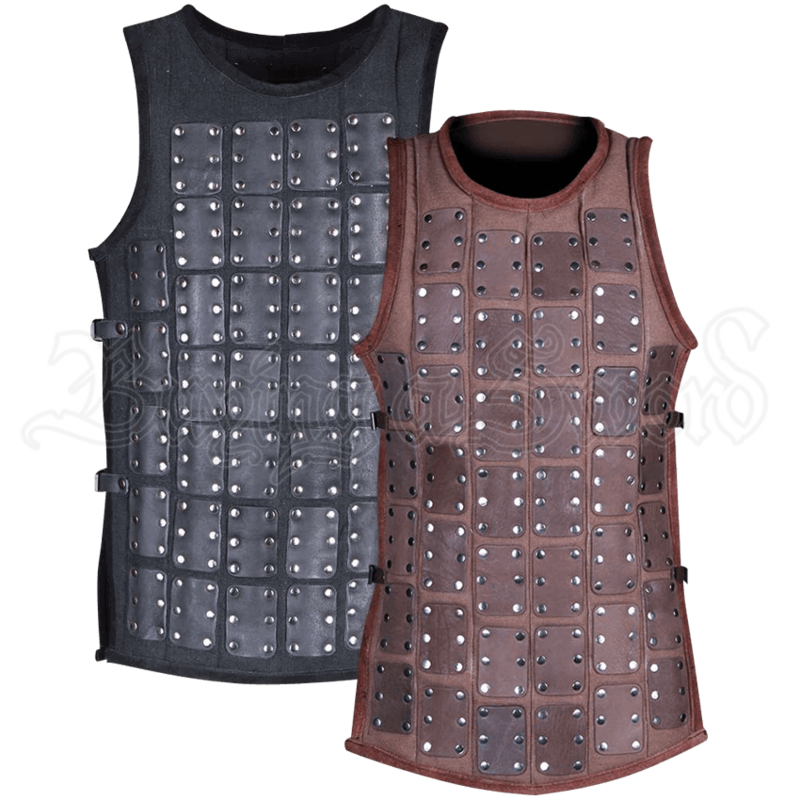 For young warriors who prefer sturdy protection lighter than plate armour, the Lucas Brigandine is the perfect thing to wear. This leather torso armour is made of canvas and polyester with riveted leather plates covering the piece. Fastened at the sides with buckled straps, this brigandine is highly adjustable and well suited for growing youth. Available in various colors, the Lucas Brigandine is easy to mix and match with other historic inspired garb. Combine it with other leather pieces for a fierce look suitable for LARP events, medieval reenactments, and more. This item is handmade from natural products, therefore, it may vary slightly from what is shown above.